Hey What’s cooking readers! It’s Tausha with Sassy Style Redesign & I am so excited to be visiting you again! 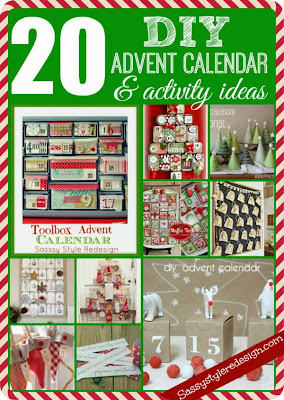 Christmas is quickly approaching, and to say that I get excited to decorate for this holiday, would be an understatement! I remember when I was growing up, we would come home from school and our entire house would be completely transformed. It was truly magical! I try to do the same thing at my house for my girls. I think that the decor really helps with the magic & anticipation that comes around this time of year. Wouldn’t you agree? Well, I am not just an inside decorator, I love to decorate the outside as well. I don’t go too crazy. Utah has some crazy cold, windy, snowy days, so I don’t do anything too extravagant. Just enough to make your home look inviting & welcoming from the street. 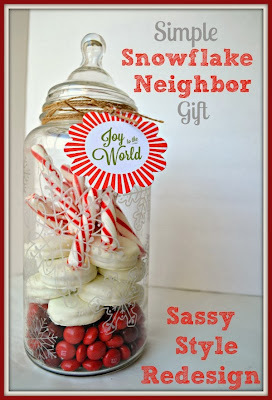 Today I am sharing a simple outdoor decorating project that will fit on anyone’s porch. Small or large. This whole project will take you about 1 hr-with drying time included. Your porch is sure to be the cutest on the block! Old bi-fold door or outdoor shutter. I went to my local Restore store and picked up 2 shutters for $5! White Paint-I spray painted my shutter, but you could easily brush it on. 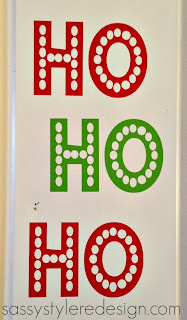 Vinyl Holiday Ho-Ho saying. I cut mine on my silhouette. It took me about 10 minutes. If you don’t have a silhouette, you could achieve the same look with paint. 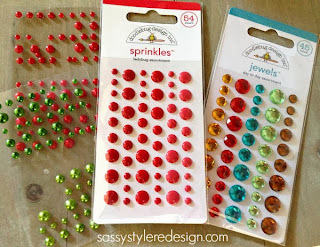 Sprinkles by Doodlebug-Oh my gosh-if you have never used these little circles of sticky happiness, I highly recommend them. 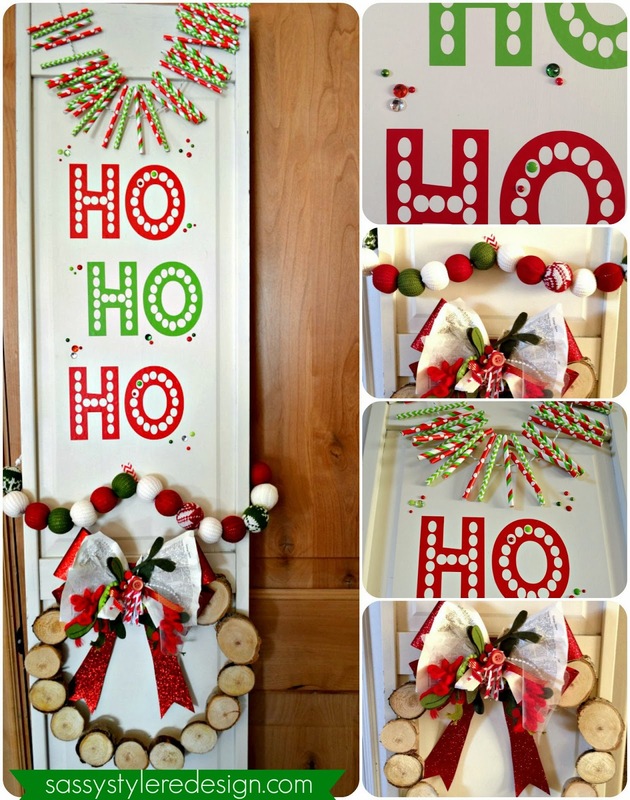 Wreath, holiday banners etc.-not required, but does add to the finished look. 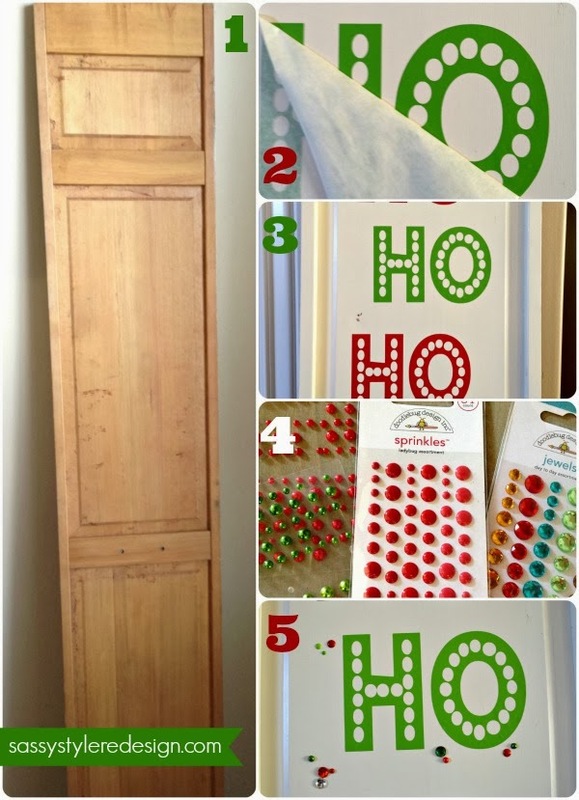 Steps to create an outdoor Holiday Shutter. 1-Paint your shutter. Sand and antique if desired. If you are going to sand, make sure that you have wiped off all of the residue, or the vinyl will not stick. 2- Adhere vinyl to the shutter. 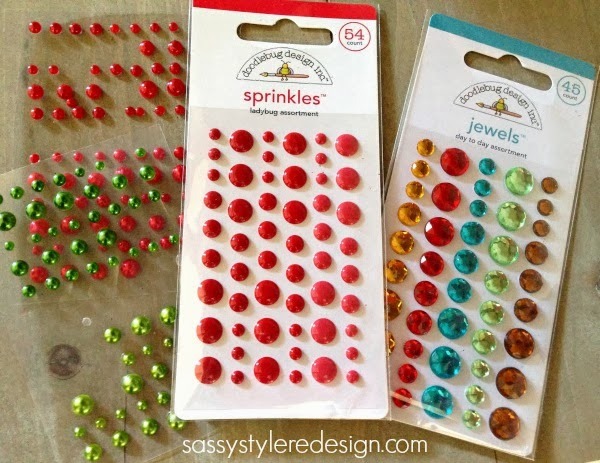 3- Add Sprinkles and Pearls by Doodlebug. Buttons would be darling too. 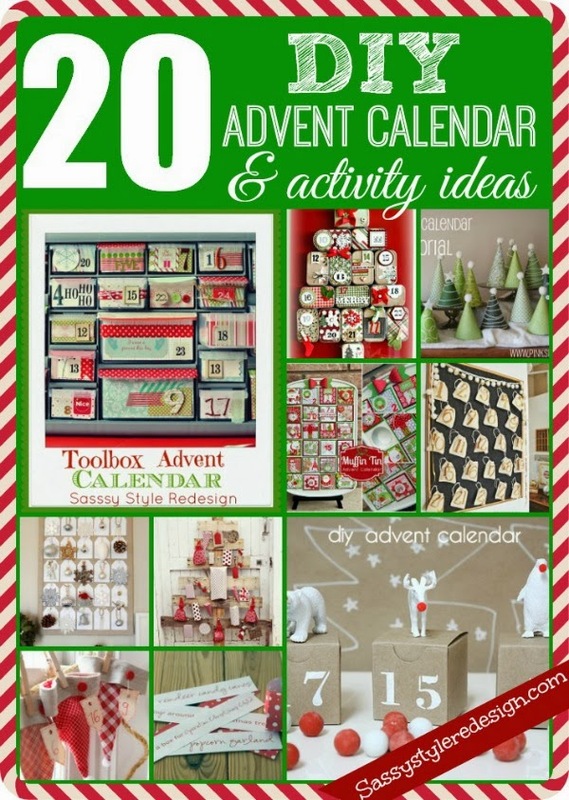 4- Add a banner to the top and the bottom of shutter. 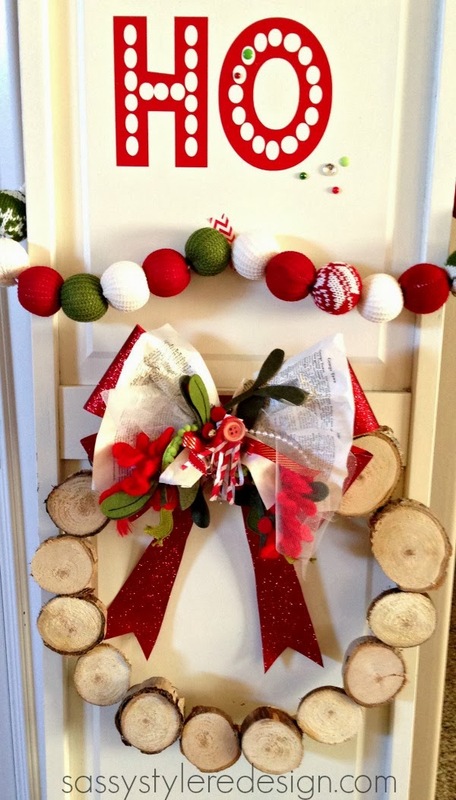 You can also add a wreath as well. 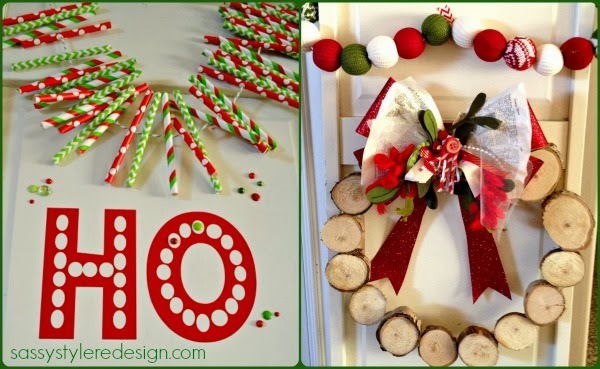 I used a Christmas version of my paper straw banner. I love this little addition to my porch because it’s different. I love adding layers and texture when I decorate and this simple Christmas Shutter does just that. I love that you can play with multiple banners & add a wreath. 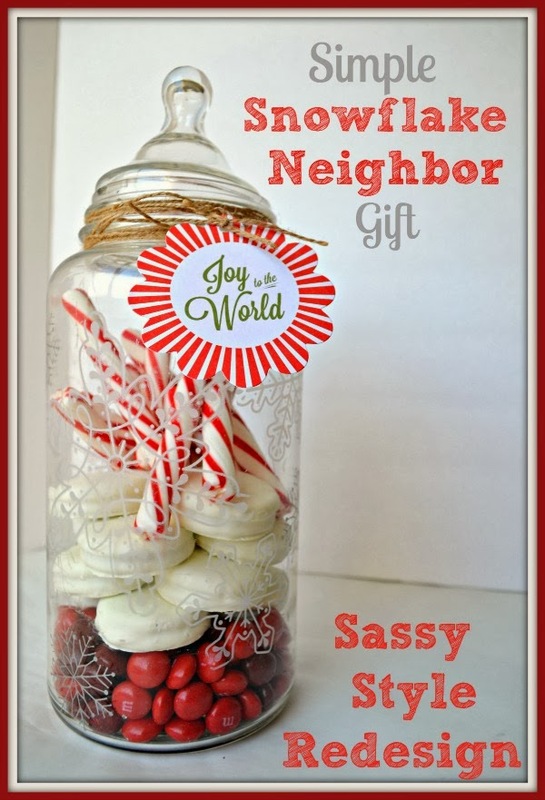 This project will make your house the hit of the neighborhood. 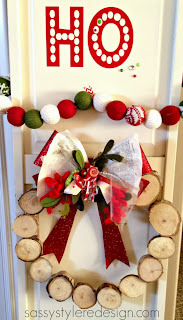 video tutorial on my show, Sassy Style on My Craft Channel. .
Then I finished it off with a junk bow. I have an addiction to Junk Bows! 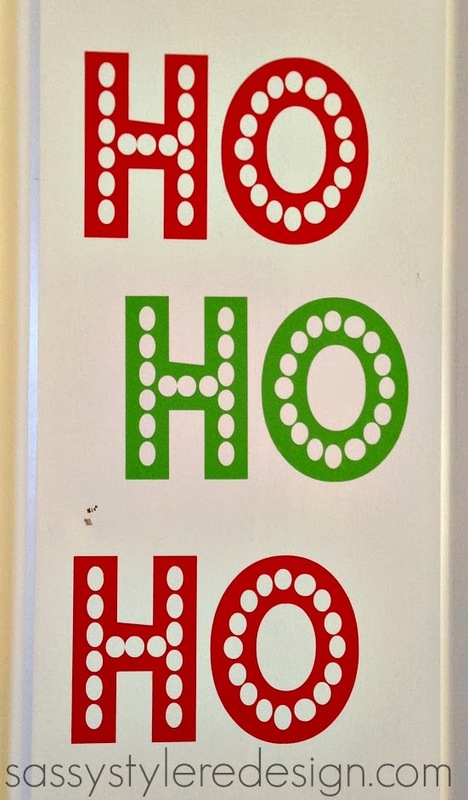 Especially when it comes to holiday decorating. be lots of tutorials and projects coming. 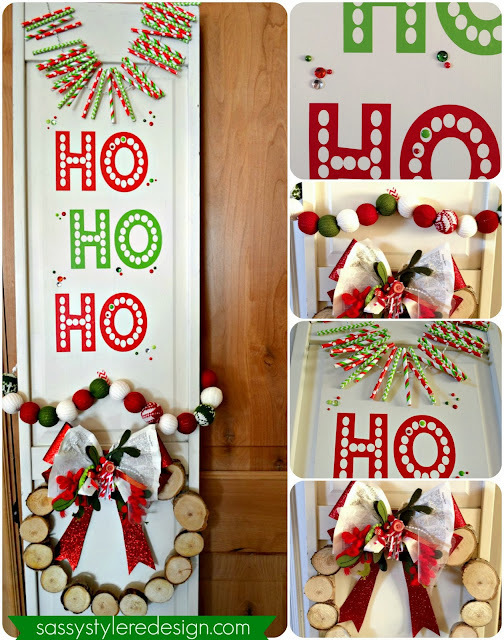 I would love for you to stay in touch..
I’m in love with Tausha’s festive DIY Christmas Shutter Porch Decor… she always has such adorable ideas! A huge thank you to Tausha for sharing with us today.